Omg, I'm probably the last blogger to blog about this! Sorry for the delay, this event took place about 3 weeks ago and I apologize for posting so late because the video file was very big and it took quite awhile to edit and upload the video! Hahaha!! 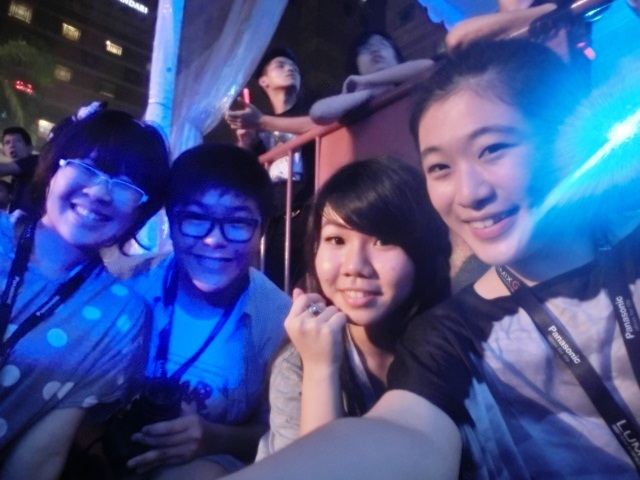 So, Huijin, Miranda, Chiro and I headed to outside Ngee Ann City after our photography/video workshop! We were afraid we couldn't enter the concert because we reached there late! But luckily remember the media pass I told you in my post last time?! 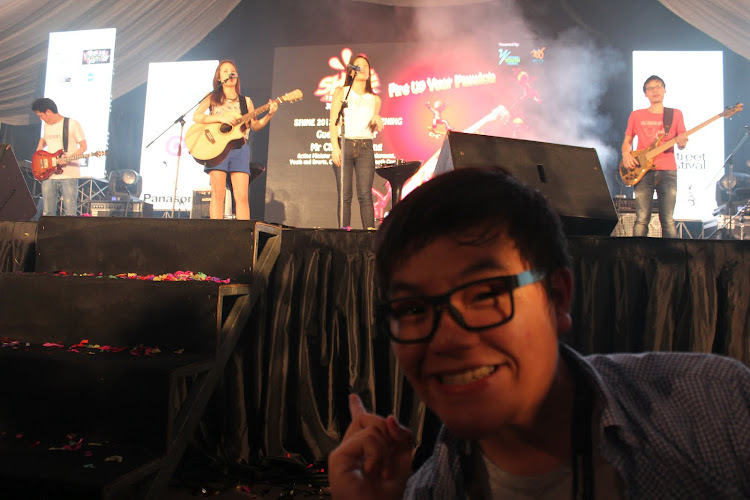 We got the privileged to go all the way to the front, the photographers and videographers area to see Janice and Sonia perform!! Here are some photos I took during the concert! Janice and Sonia sooooo pretty!! LOLOLOL!!!! A fail attempted of me trying to take a photo of myself while they were performing! Credits to Huijin!